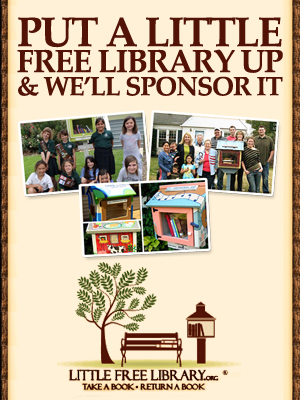 Are you the kind of person who doesn’t want to miss anything in the realm of self-publishing? If so, then the best way to stay ahead of the game is to subscribe to as many indie author sites as possible. There are a lot of sites out there. These blogs are educational, inspirational, entrepreneurial, or a mix of all the above. 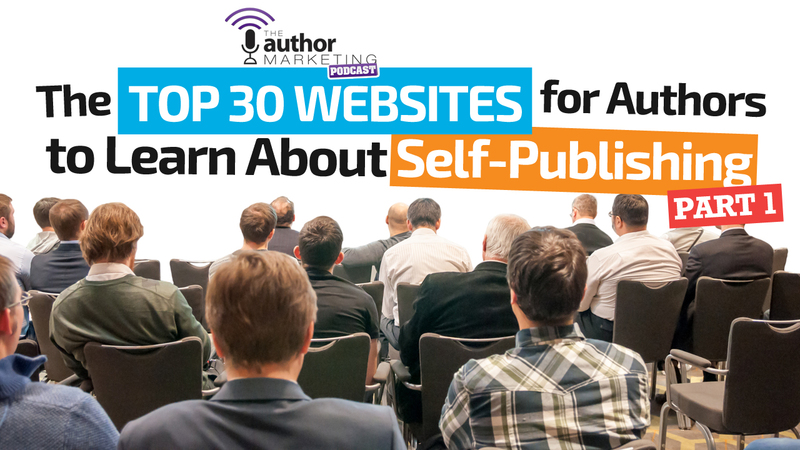 Whether you’re just starting out or you’ve had your head in the sand for a while, here’s a list of the top 30 sites you can follow to learn more about self-publishing. 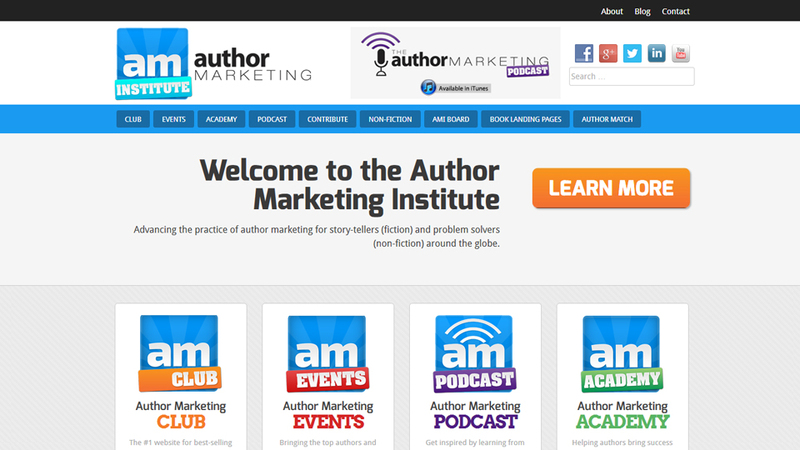 Sure, we may be a little biased, but we’ve been putting together some great resources for you on the Author Marketing Institute. In addition to the multiple articles we provide every week, we’ve also got the Author Marketing Podcast, the Author Marketing Academy, the Author Marketing Club, and we have tons of new resources coming in the future. Whether you like to learn through text, audio, or video, AMI has you covered. 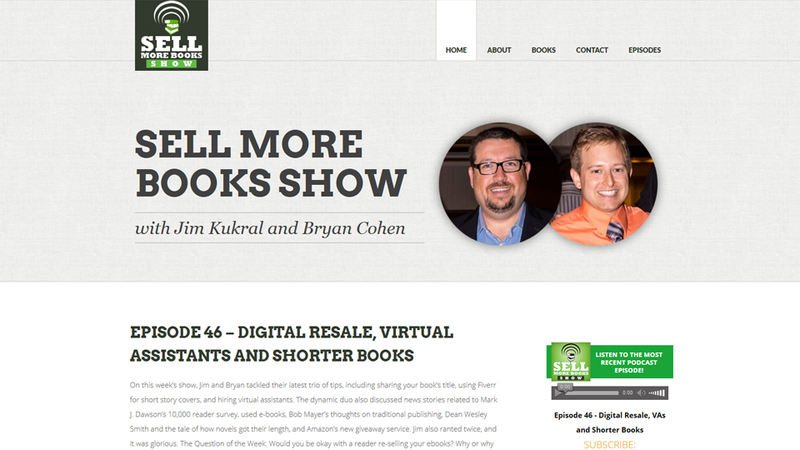 This podcast, which is hosted by AMI founder Jim Kukral and author Bryan Cohen, is a 30-40 minute news program that covers the latest stories in the indie author world. Through the lens of their experience, Jim and Bryan cover a trio of tips authors can follow and five newsworthy items in order of importance. The hosts work tirelessly to provide you with the latest from the blogosphere to keep you from having to do the research yourself. 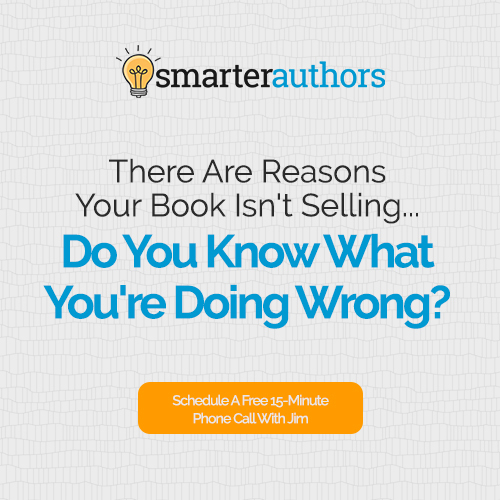 The show is densely packed with up-to-date information that can help you make sure your author platform is up with the times. 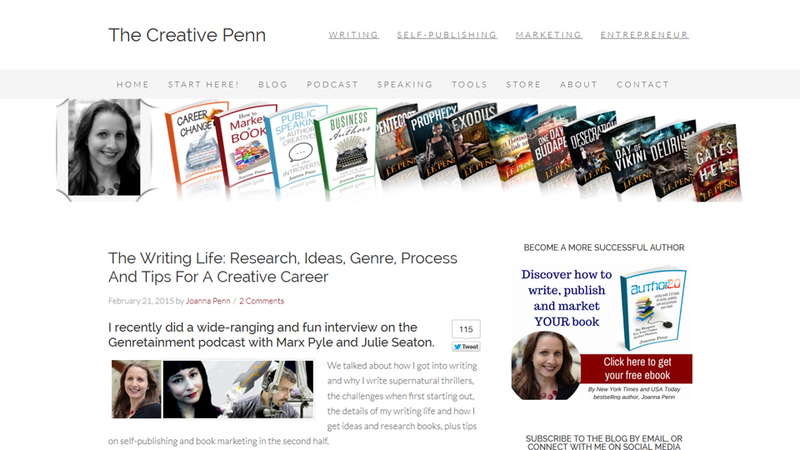 Author Joanna Penn is a pure authorpreneur, and while she may not have invented that term, she may as well have been the originator. Joanna writes epic posts that are full of ways to apply the lessons of running a good business to your author career. Through these posts and her twice-monthly podcast of the same name, Joanna also discusses what she’s working on in both the fiction and non-fiction markets. Authors who are looking to sustain themselves on the “word trade” for a lifetime would do well to pour over the last few years of Joanna’s content. The Writers’ Cafe on KBoards is proof that you’re never alone as an indie author. 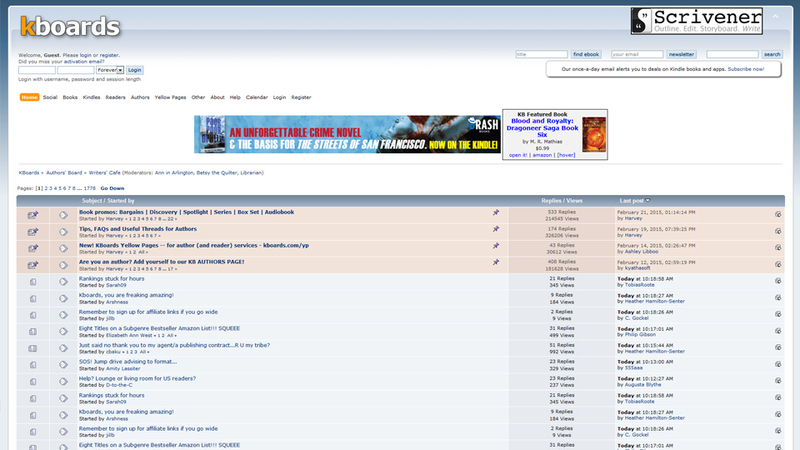 Authors at all levels of the game post pressing questions and answers on the forum. KBoards gives you a wonderful opportunity to digitally network with other authors and learn a great deal about the new and the old of indie authorship. If you have yet to sign up for a free account, then today’s the day to stop by the Writers’ Cafe. The Passive Voice, which is run by attorney David Vandagriff, is the mecca of self-publishing news. If you want to know the latest news for indies in real-time, then this is the blog to subscribe to. During the recent Hachette vs. Amazon conflict, The Passive Voice had the most comprehensive collection of stories from both sides of the debate. Check out the comments to see opinions from a collection of who’s who in the indie author sphere. Nate Hoffelder’s The Digital Reader is very similar to the Passive Voice but with more opinion and a deeper industry focus. Want to know when Barnes & Noble will inevitably bite the dust? The Digital Reader will be the first to cover it. Want to get an expert’s take the day after Amazon releases a new tool? Nate’s your guy. This site features multiple news stories per day, and it’s one of the best ways to keep up with the dollars and cents side of self- and traditional-publishing. Steve Scott is one of the most prolific non-fiction authors of the last five years. 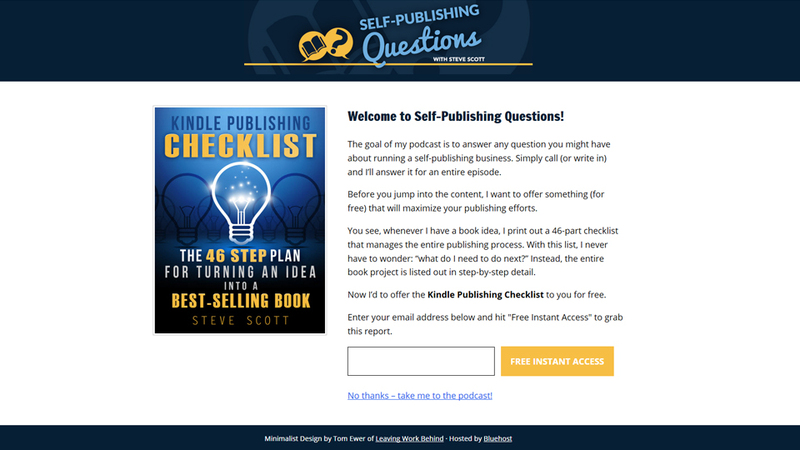 He’s been covering the business end of his success with quarterly posts on SteveScottSite.com for some time, but his latest enterprise, The Self Publishing Questions Podcast, is a game-changer for beginner, intermediate, and advanced indie authors. The show’s format is simple. Steve plays a question from one of his readers. Then he uses his expertise to give a 10-minute answer. With over 50 episodes and five more scheduled each week, SPQ will become a massive repository of information for the indie community for years to come. 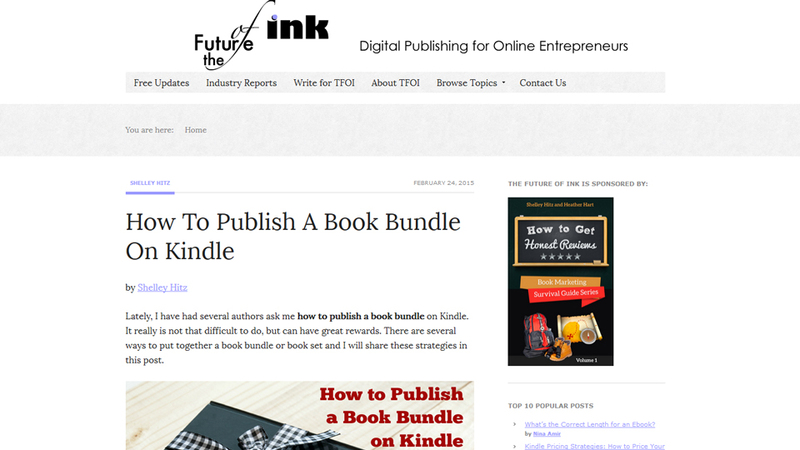 The Future of Ink is a go-to site for incredible guest posts about specific topics to help indies succeed. Founded by Denise Wakeman and Ellen Britt, The Future of Ink delivers comprehensive advice on everything from reviews, to blurbs, to pricing, and everything in between. 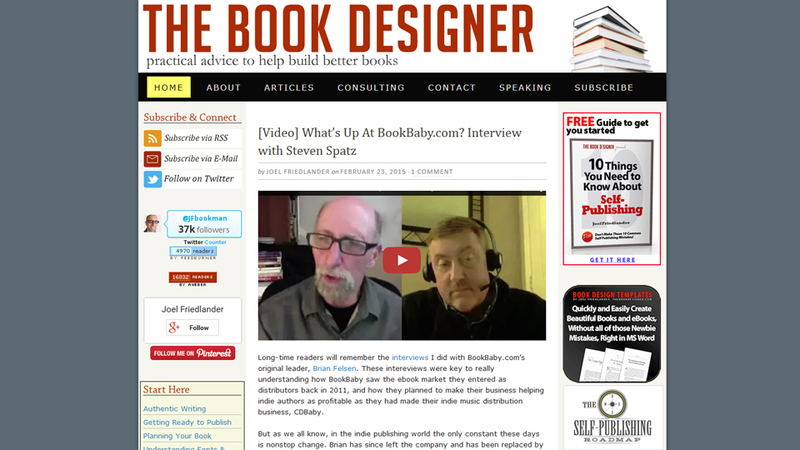 This is a great site for helping you make the jump from knowledgeable author to expert. Therese Walsh and Kathleen Bolton started Writer Unboxed as a place where they could publish their thoughts on writing. Nine years later, the site has become much more than that. 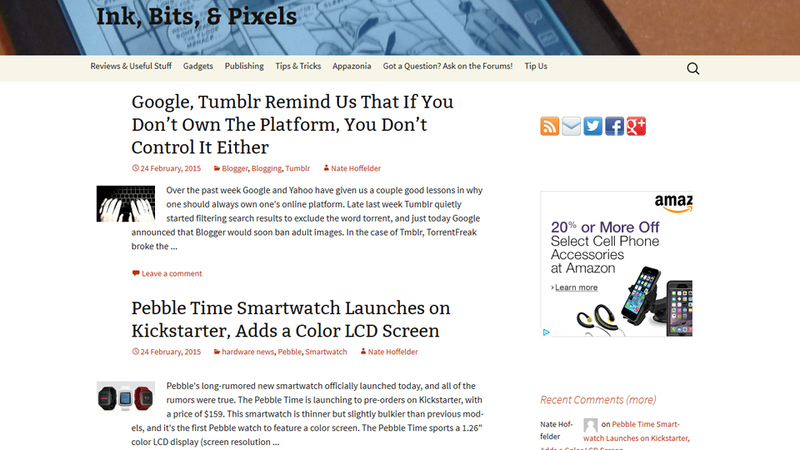 With over a dozen monthly contributors, the site hits writing and publishing from multiple angles. 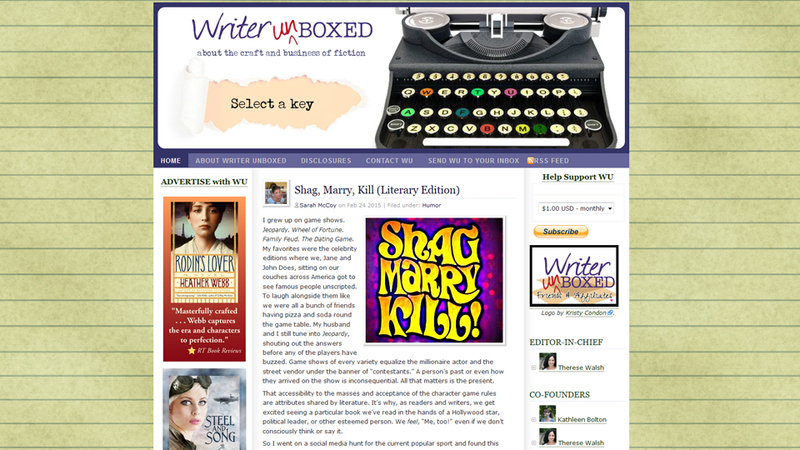 Writer Unboxed touches upon writing craft, indie authorship, marketing, and a whole bunch of other topics all in one place. When you get tired of dry, academic reading, Writer Unboxed will be there to tell it to you straight. Joel Friedlander, who is literally a book designer, is also an expert on the publishing and self-publishing industries. His site contains several key areas for indies, including weekly collections of relevant articles from around the web, monthly cover design contests, and guest posts by other writing luminaries. 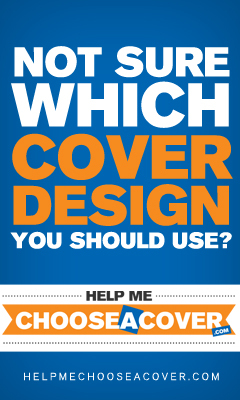 The cover design contests are especially entertaining and can help you to determine how to make your own covers stand out from the crowd. 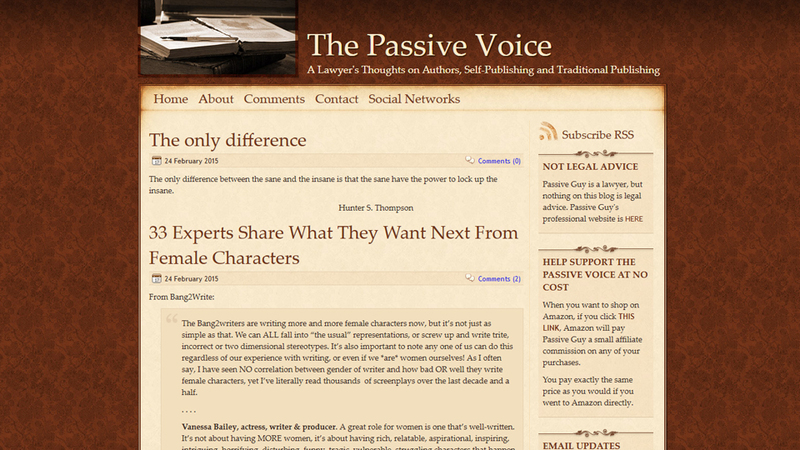 Have you ever wanted to dive deep into the topics of indie authorship? 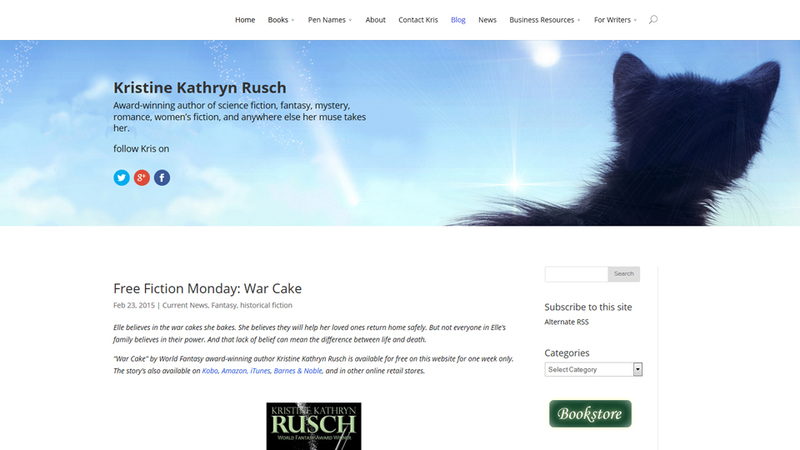 Kristine Kathryn Rusch, an award winning sci-fi and fantasy writer, is more than worth following for her expertise on the publishing industry. But it’s her in-depth, complex posts on the business of writing that make this blog a must-follow. Anything can be a little scary when you get the lawyers involved, self-publishing included. 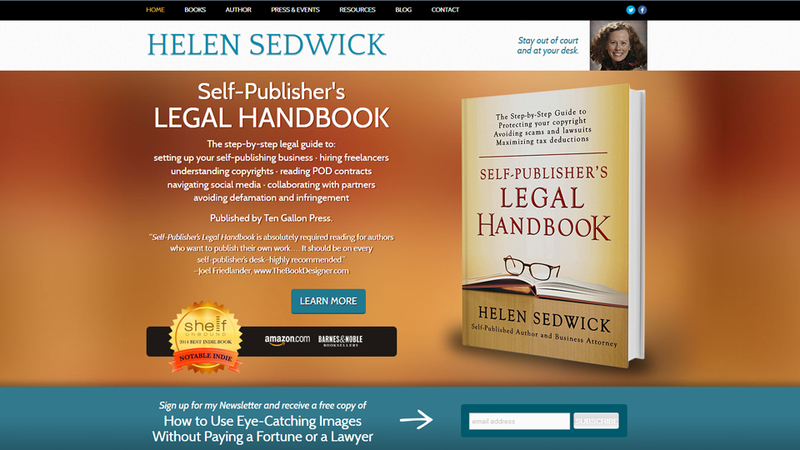 Helen Sedwick, an experienced business lawyer, has put out a blog to help indie authors deal with their most common concerns about contracts, copyrights, and other legal snafus. 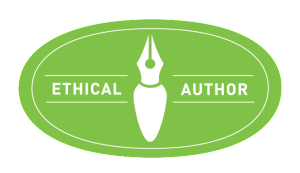 Sedwick’s blog is required reading for authors considering foreign sales, movie rights, or a traditional publishing deal. 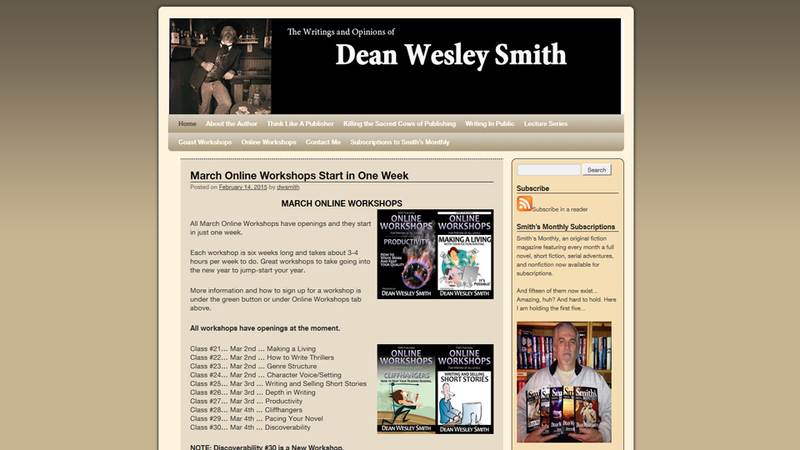 Dean Wesley Smith, an author of over 100 published novels, would be inspiring enough for his productivity alone. His series on killing the sacred cows of traditional publishing and indie publishing are extremely important for authors who are new to either side of the industry. Between his posts and the posts of his wife, Kristine Kathryn Rusch, the two stars of self-publishing make an incredible indie writing power couple. 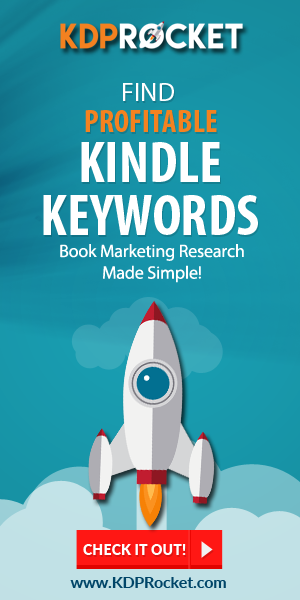 Ever wanted to see how a million copy-selling author connects with his readers? 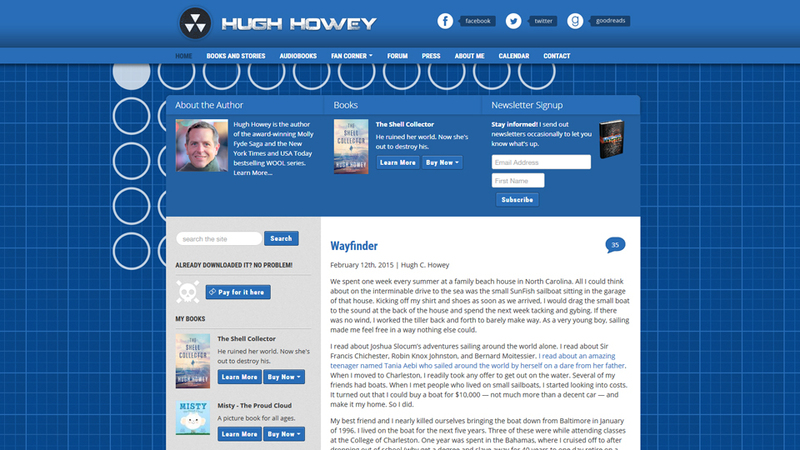 Check out Hugh Howey’s blog to see his video blogs, thoughts on his books, and a series of posts on the publishing industry. Howey also goes into great depth about his influential study, the Author Earnings project, which has shown that many authors are able to earn a living wage from their book sales alone. Are most indie author blogs too pollyanna for you? Joe Konrath’s blog is the exact opposite. A Newbie’s Guide to Publishing has dozens of guest posts, as well as thoughts about Konrath’s rise to success in the indie world, but that’s not all. 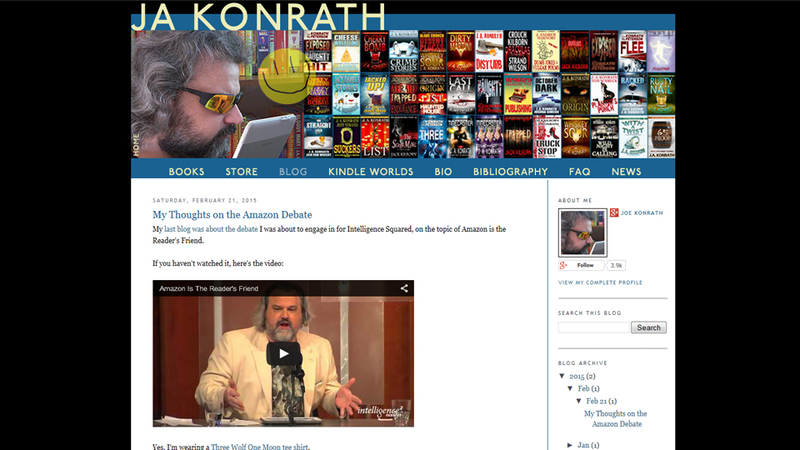 The real treats of the blog are Konrath’s scathing takedowns of the traditional publishing industry. Who knows who he’ll fisk next?